It wasn’t just an amazing, walk-off, extra-innings win in front of a sellout crowd. Sunday’s game was a message to the rest of Major League Baseball: The Royals are not a joke anymore. What Do The Royals’ Recent Setbacks Mean? Kansas City has faced some troubling moments over the past week, and the organization’s future could be riding on how the team responds. Legendary Royals pitcher Paul Splittorff has died, but for me, Splitt was the person who shaped my knowledge of baseball. The Royals have been mentioned as a possible suitor for Albert Pujols in free agency. What would that future look like? 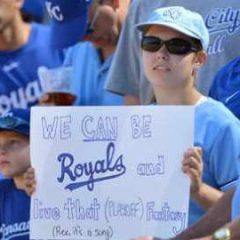 Kansas City’s place in the standings could determine whether they’re trading for the future – or trading for this season.